All ceremonies begin and end with Papa Legba, and there can be no communication with any of the other Lwas without consulting him first. His gift for linguistics enables him to translate the requests of humans into the languages of the spirits and Lwas. He stands at a spiritual crossroads and gives (or denies) permission to speak with the spirits. He is the Lwa that opens and closes the doorway. An old man who walks with a cane, he limps because half of his body resides with the living while the other with the dead. He does not expect much. A Rada Lwa, a bit of a trickster. Erzulie Dantor Erzulie Dantor is the patron lwa of lesbian women. 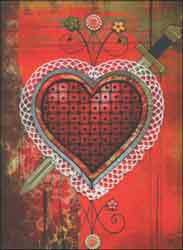 Erzulie Dantor offers to you protection and possibilities beyond the imagination. If you request her to help you handle a situation with an abusive partner be ready for her idea of justice as she can be fierce and protective. A firm but loving Mother Erzulie Dantor is a large, dark skinned woman with scars on her cheeks & her tongue has been cut out from her mouth. Part of the family spirits known as the Ghede. As well as being the master of death, Baron Samedi is also the giver of life. He can cure any of the human sicknesses or wound if he chooses too. It depends on whether or not he thinks the person is worthy. If he does not dig your grave you will live. Baron known for his outrageous behavior, the drinking, swearing and dirty jokes keeping a cigar in his mouth most of the time. 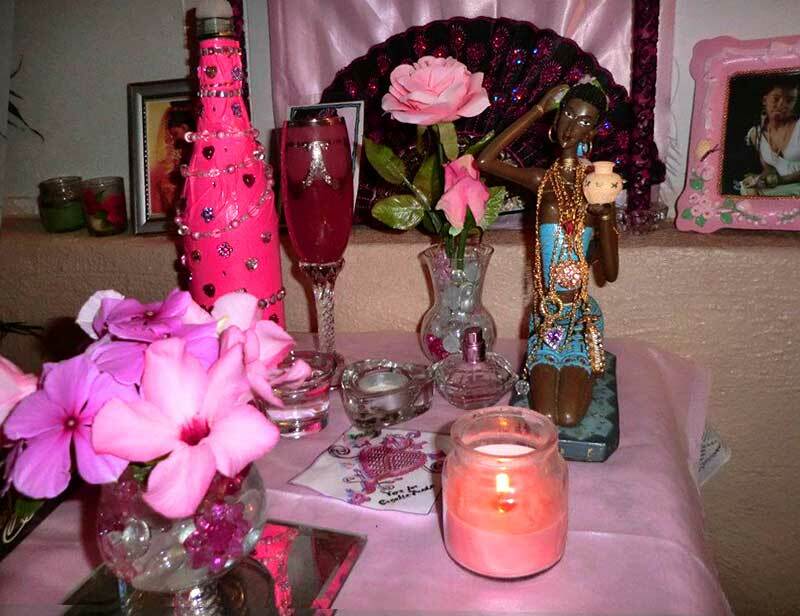 Erzulie Freda is the Vodou Goddess of love and beauty. Erzulie Freda is a Rada Lwa and she represents romantic love, sweetness, and luxury. Offerings of jewelry, perfume, colors of pink & white. Never place Erzulie Freda with a Petro Lwa or by her sister Erzulie dantor as she will not be happy. Wife of Agwe, La Sirene is the queen of the Seas. She owns all of the riches of the sea. 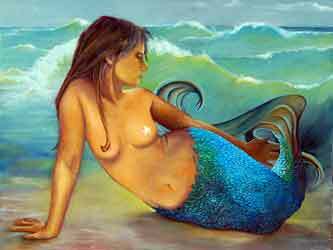 Very beautiful described as a mermaid, milano woman, with long dark hair. She can bring you great wealth, beauty & a beautiful voice. If not served well she will take it all away. She is a Rada Lwa with a Petro aspect. Left:La Sirene dark hair, muletto skin, mermaid, queen of the sea, beautiful, rich. What is a Veve or Vévé? A Veve or Vévé is a religious symbol commonly used in Haitian Vodou. In ritual a Veve is usually drawn on the floor by strewing a powder-like substance, commonly cornmeal. You can make the Veve to put on the Altar for the Lwa you work with just to honor them.